The two major updates that Chapek gave on Walt Disney World concerned the work on the upcoming land, Star Wars: Galaxy’s Edge, and the yet-unnamed Guardians of the Galaxy roller coaster coming to Epcot. The new land coming to both Disneyland Park and Disney’s Hollywood Studios at Walt Disney World will feature all-new animatronics. These A-1000 audio-animatronics will be fully electronic, and are expected to last 20 years and longer with no loss of quality or performance degradation. These new animatronics coming to the land will be the most lifelike we’ve seen to date, which will only further add to the immersion of the smuggler’s port of Batuu. Star Wars: Galaxy’s Edge will welcome guests to a brand new world in summer 2019 at the Disneyland Resort, and in late fall 2019 at Walt Disney World. Work is still moving along on the new Guardians coaster coming to Epcot in time for Walt Disney World’s 50th anniversary in 2021. The foundation for the new attraction is the largest concrete pour Disney’s ever done, and you could fit four Spaceship Earths inside the ride’s show building. 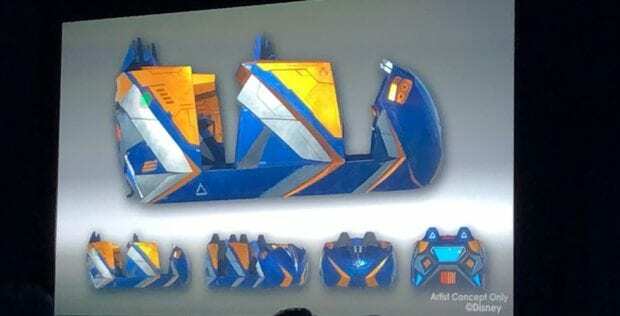 A look at the ride vehicle for the Guardians of the Galaxy roller coaster. This unnamed roller coaster will be the world’s first storytelling coaster, with the train cars making sure riders are fully immersed in the story, and aren’t just zooming past it on the tracks. 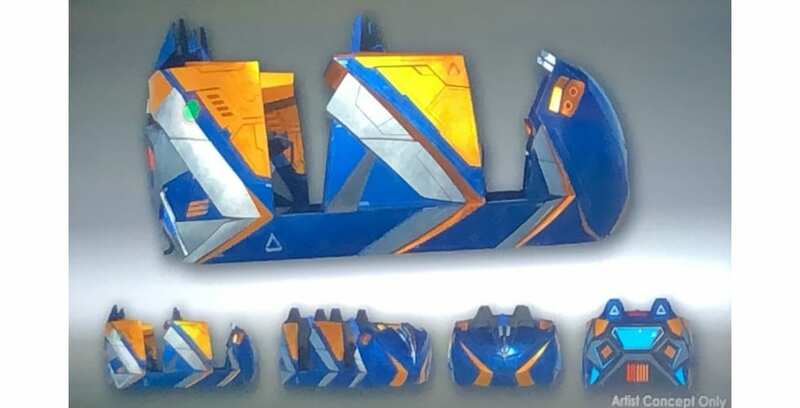 These new coaster cars will be the first ever to be fully motion-controlled and will feature a 360-degree spinning motion so that the ride will control where guests are looking. Stay tuned to our website, Twitter, Facebook, Instagram, and YouTube channel for more updates from IAAPA 2018.